初ゑびす　Ebisu festival at Nara old town. Hill Wakakusayama Fire Festival was held. 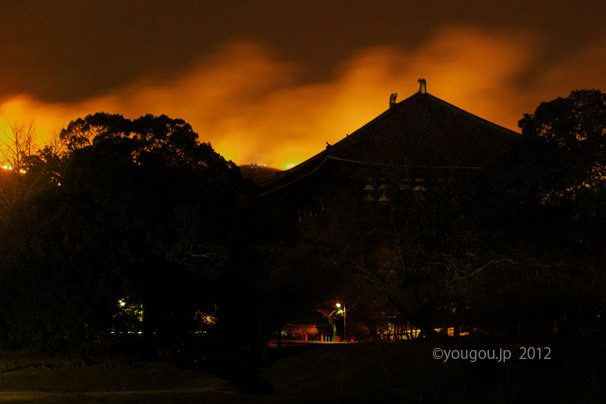 You can see Todaiji Great Buddha hall's roof. 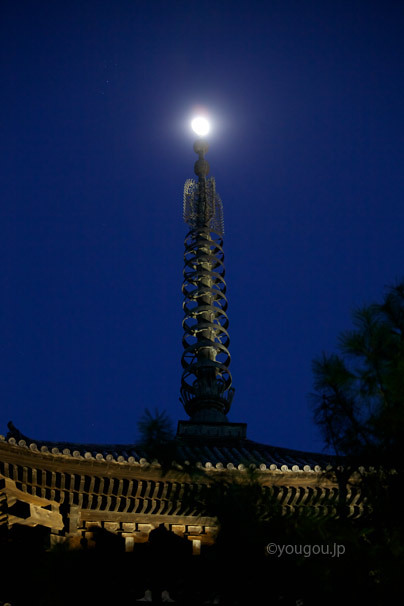 The moon shine with wooden five-story pagoda of Kohfuku-ji temple. This tower rebuild 1426. The second highest tower of Japan. 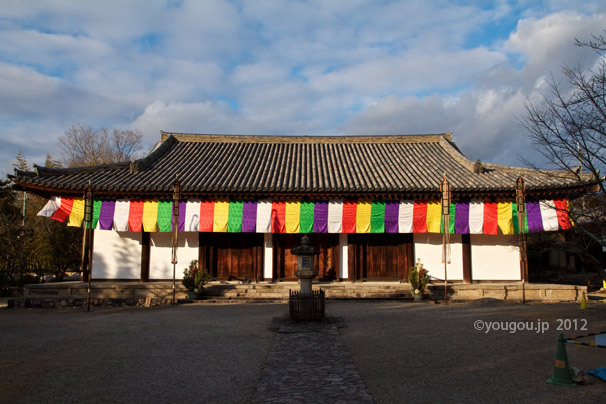 The January ceremony at Shin-Yakusiji temple was held. The main hall was decorated with colorful textile. Solemn ceremony with monk's amazing voice. The EBISU festival held in Nara old town. The EBISU gives us merchant fortune. 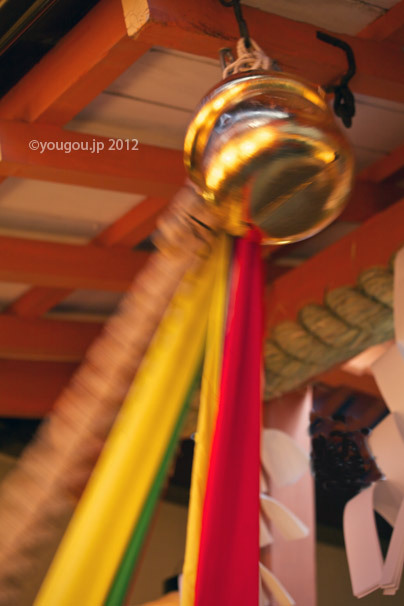 So they sounds the bell strongly, in front of holy spirits the EBISU. For call and wish a their of fortune.